The top Democrat on the House Oversight and Government Reform Committee on Friday demanded that the panel issue a subpoena requiring the Environmental Protection Agency to produce documents related to an alleged policy to withhold “politically charged” documents from Freedom of Information Act requests. In a letter to oversight committee Chairman Rep. Trey Gowdy, R-S.C., Cummings relayed an excerpt of an interview with Pruitt’s chief of staff, Ryan Jackson, who alleged the agency had a policy to “deliberately delay” responses to FOIA requests that were deemed too complex or, in the minds of political appointees, politically motivated. 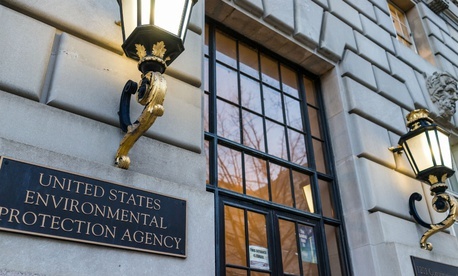 According to EPA staffers, political appointees hand-selected such requests and sent them to be processed by a different team than the standard FOIA response team. In a June 29 interview with committee staff, Jackson, who now serves as chief of staff to acting Administrator Andrew Wheeler, described one such instance of a FOIA request being set aside to be slow-walked. According to Cummings, Jackson admitted that at times, FOIA requests were delayed to accommodate the production of a different request. And while FOIA requests from progressive groups like the Sierra Club and American Oversight were being pulled out of the normal response process, Jackson admitted to setting up a meeting between the National Pork Producers Council, an industry lobbying group, and policy staff to facilitate its FOIA request. The assistant vice president of the group is Michael Formica, a friend of Jackson. Cummings asked Gowdy to issue a subpoena for all documents since President Trump’s inauguration about EPA’s FOIA policies and processes, relating to the rejection of FOIA requests and pre-release review of documents in FOIA requests by EPA appointees or White House staff. In the letter, he cited Gowdy’s own concerns about political appointees reviewing FOIA responses at the Homeland Security Department during the Obama administration.